Correct and treat unattractive skin blemishes/discoloration caused by excess melanin in the skin. 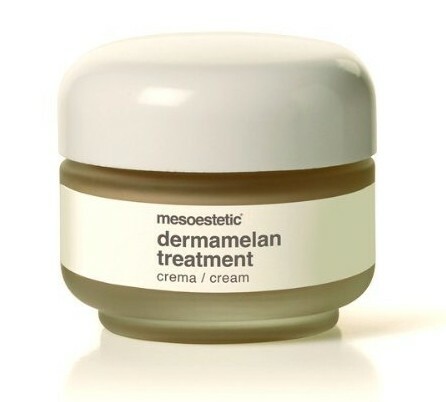 Apply Dermamelan Treatment cream twice daily morning and evening. Apply moisturizing sunscreen 15 minutes after application of Dermamelan Treatment for solar protection. Mesoestetic Sunblock is recommended.